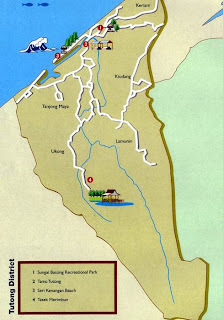 It has total area of 5,765 square kilometer and a population of 380,000. 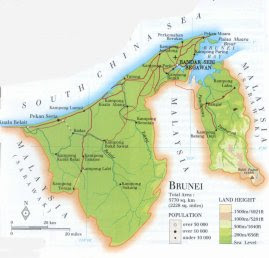 Its main natural resources are oil and gas which become the main industry that generates wealth and income to Brunei. 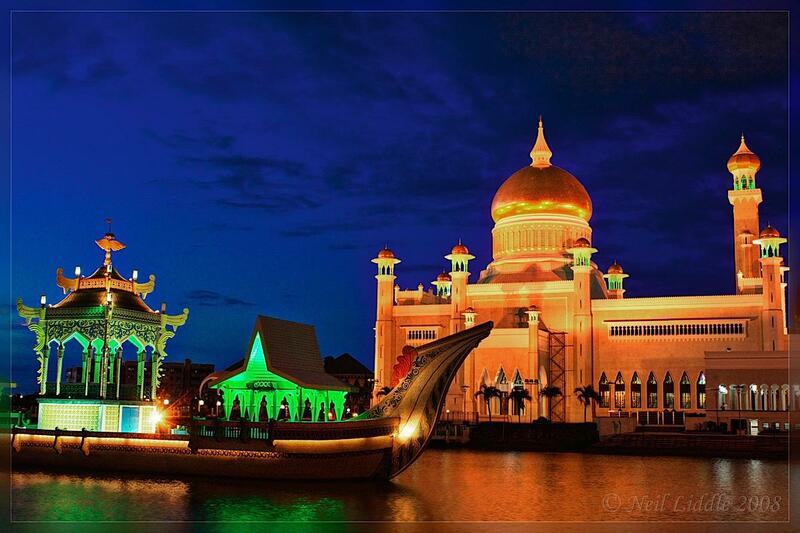 Brunei celebrated its national day every 23rd February every year and it achieve the independence in 1984. Brunei was ruled under the reign of the 29th Sultan of Brunei, His Majesty Sultan Haji Hassanal Bolkiah Mu'izzaddin Waddaulah. Brunei has established itself as one of the important and independent nation in region as it becomes the membership of several association that is ASEAN ( Association of South East Asian Nations), the United Nations, the Organization of Islamic Conference and Commonwealth. 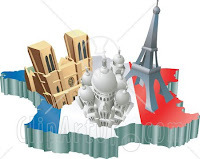 In terms of Tourism, it had moved to become the second industry which provides wealth to the country. Brunei was known as the Green Heart of Borneo as it offers many attraction place and recreational park such as Ulu-Ulu Temburong which based on eco and nature tourism and it attracts lots of nature lovers tourists from other countries. 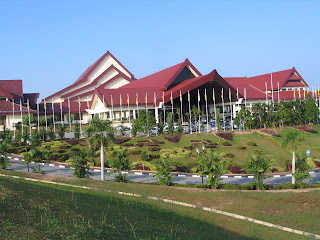 -The Empire Hotel and Country Club is the luxury hotel that can be found in Brunei. 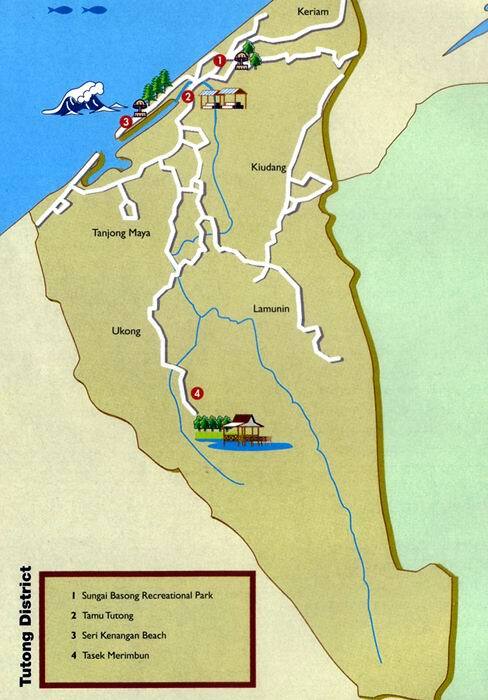 It is located at Muara-Tutong Highway just 20 minutes drive from the town. -You are going to love to stay in this hotel as it provide world class facilities and activities that can be done while staying. 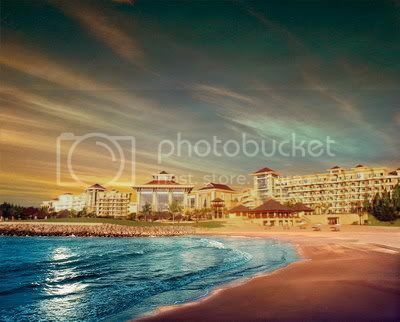 It also has magnificent view of the ocean and it is peaceful to watch sunset from the beach. 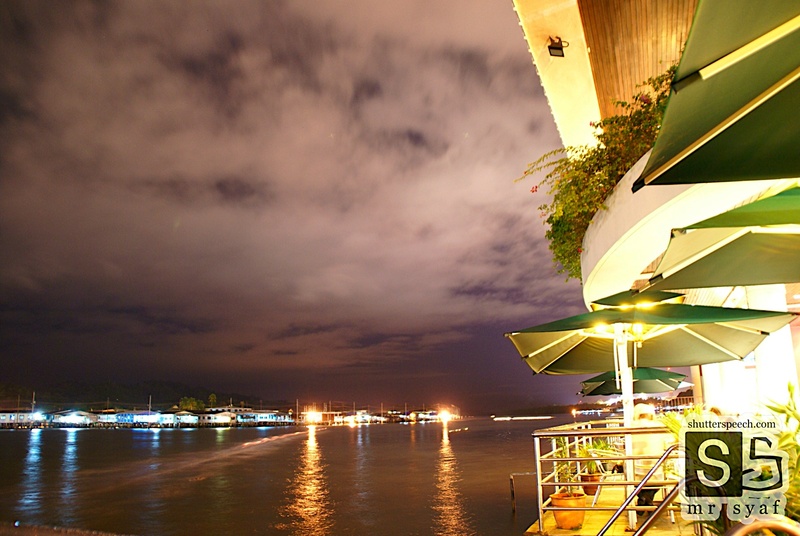 -It features nine restaurant outlets with choices of from local to International cuisine. - The Empire Hotel and Country Club also become popular spot for tourists to do some leisure activities such as golfing, bowling and aquasports such as scuba diving, parasailing and jet skiing. -The hotel is located just next to the popular shopping areas, The Mall Gadong. 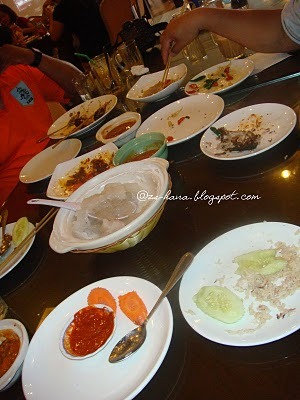 It was mostly occupied by bussinessmen as it offers conference hall that is Songket Conference Hall. Moreover facilities for businessmen such as meeting rooms are also available here. 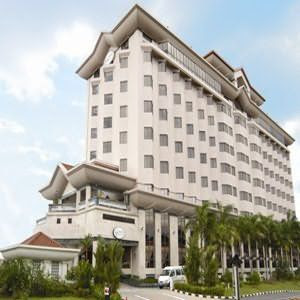 -Situated at Jalan Anggerek, this hotel is a business and tourist information class hotel and it just a 5 minute drive from the Brunei International Airport. 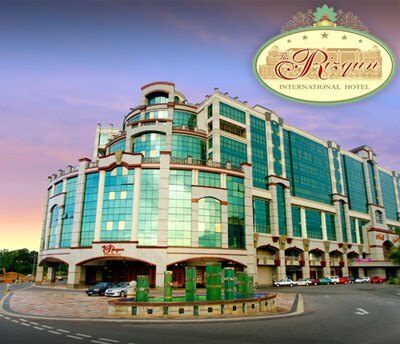 - It is near to International Conventional Centre and Hassanal Bolkiah Indoor Stadium. 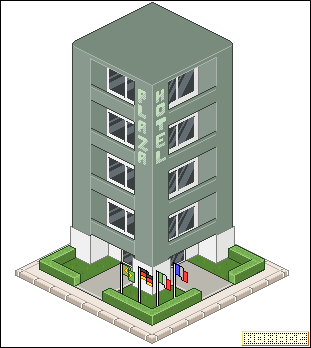 - Some of the latest addition of facilities available in the hotel are Amanha Spa and free Wi-Fi connection in the restaurant and coffee lounge. - Kampong Ayer become the most startling facet of Bandar Seri Begawan for almost 600 years. 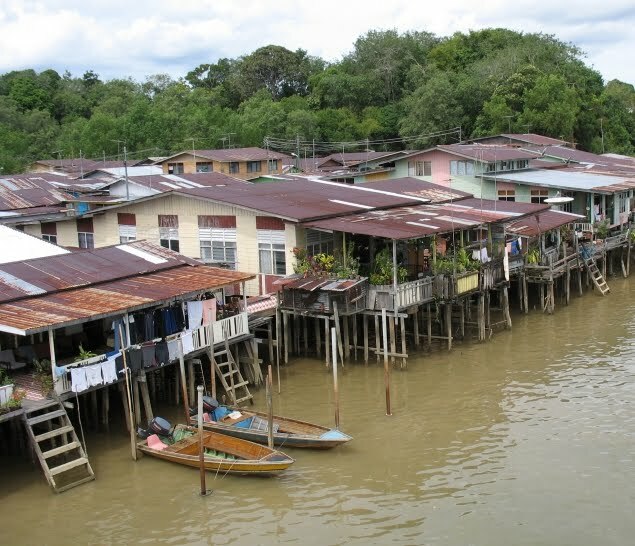 It is the one must stop place for visitor to view the extensive village built on stilts on Brunei River and become homes for about 30,000 people. 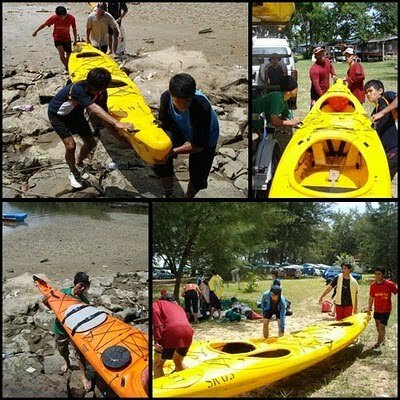 - Water taxi are available to bring the visitor for Kampong Ayer touring at Brunei River. 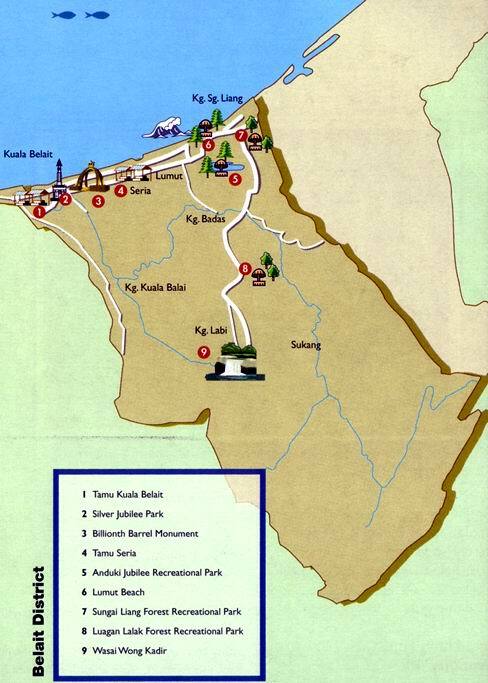 - This is one of the 'must stop' attraction places in Brunei. It was built in 1958 and was named after the 28th Sultan that is Sultan Omar Ali Saifuddien who was regarded as the architect of modern Brunei. 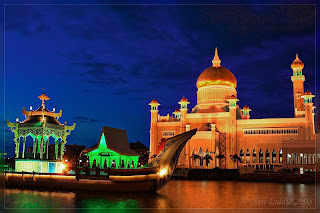 - The special thing about SOAS mosque is that beside the mosque, is a replica of 16th Century Royal Barge where any religious function used to be held and staged during the 1960s to 1970s. - One of the rules to enter this mosque for visitors is to leave their shoes before entering and for women, they must cover their heads and dress conservatively. - One of the favorite beaches and recreation area in Brunei, just five minute drive from Tutong town. 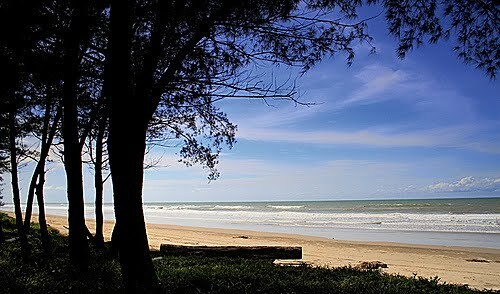 - It is also called as the 'unforgettable beach' as it offers a spectacular view of Sunset. 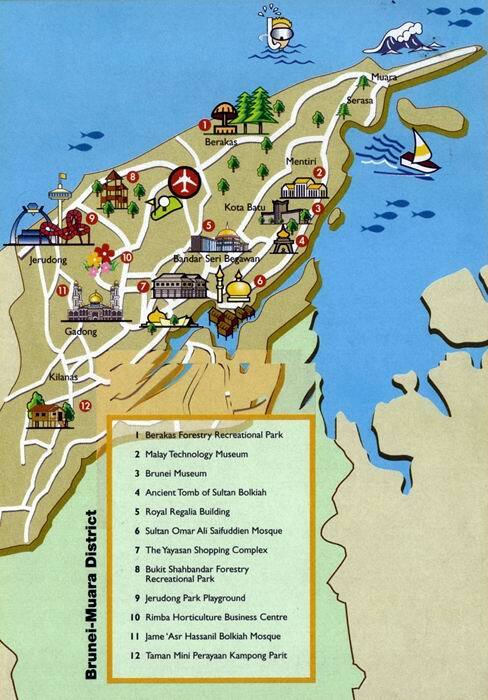 Restaurants, picnic huts, barbeque area, a playground and foodstalls are available here. 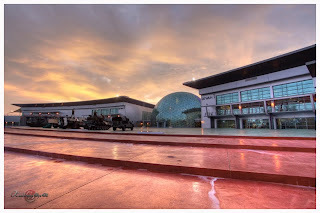 - The park was located at Tutong district just half an hour drive from Bandar and it sponsered by the HSBC and administered by the Brunei Museum. -The park was also became the base for scientific research as it become homes to flora and fauna and wildlife. 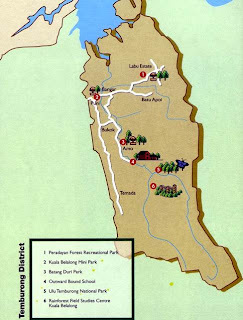 - Located just 70 kilometres from Bandar Seri Begawan, it is one of the forest recreation park that can be found in Brunei. 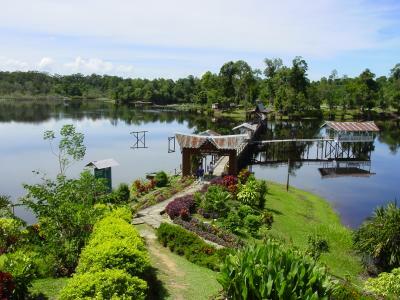 -The park is featured by a large pond and some of the facilities available here are toilet, huts and parking space. 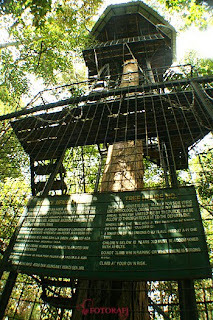 It also provides canopy walkways for jungle trekking. 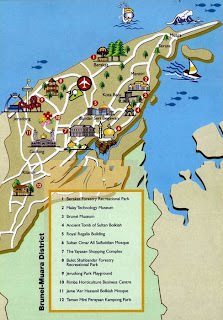 - Became favorite recreational park for picnic. 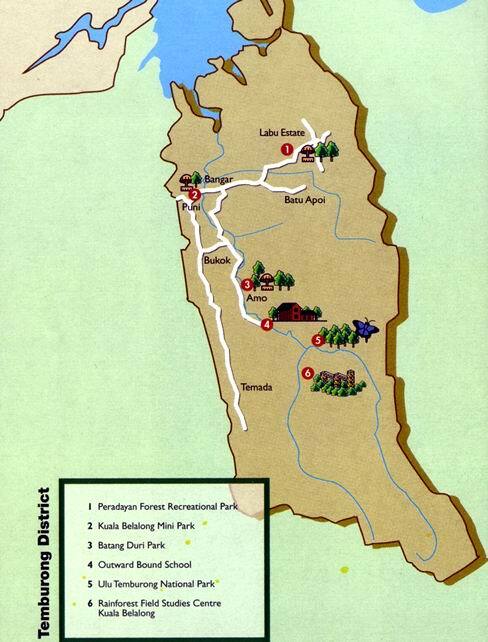 - The park is located about 15 kilometres from Bangar town and it becomes favorite place for locals as well as students for hiking as the park offer panoramic view of jungle, sea, villages and we actually can see the neighboring countries, Sarawak. 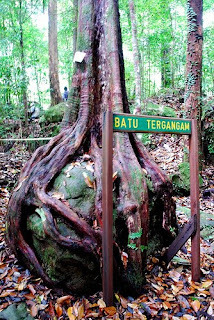 - It also become home to a variety of wildlife such as Borneo native deer also known as Kijang. - Also famous as the park features a mystery tree called 'Batu Terganggam' and it got the name as when you see the tree it looks like the trees are holding a big rock. - Located at Jalan Anggerek near to the Orchid Garden Hotel. 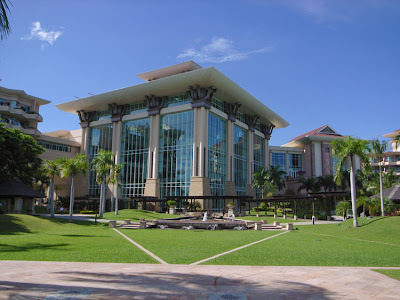 - Another conference hall that is used for any organizational or private functions such as consumer fair, Asian Tourism Forum and many more..
Brunei offers lots of activities to do. From Aquasports at The Empire Hotel and Country Club to Horse Riding in Polo Club...YOU NAME IT, WE'VE GOT IT!!! - Do you want to experience viewing the sea and beach by flying? 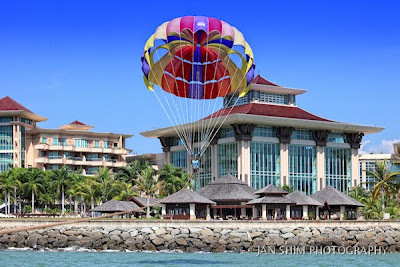 Come, Have Fun and try to do parasailing at the Empire Hotel and Country Club!! - Serasa Beach is one of the places where you do another watersports such as kayaking, boat racing and many more..
- Most favorite spot for eating Ambuyat which is one of the traditional local food. Choose from selection of local cakes and snacks for tea-time. -It has more than 3 branches and one of the branch is located at Units 2&3, Block B, Ground Floor, Bangunan Haji Abd Rahman, Spg 88, Kiulap. 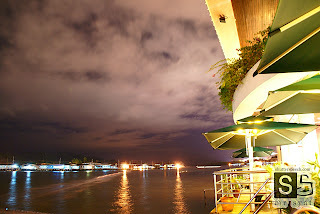 - The menus being offered here is the Italian cuisine from pasta to freshly oven pizzas are not to be missed. 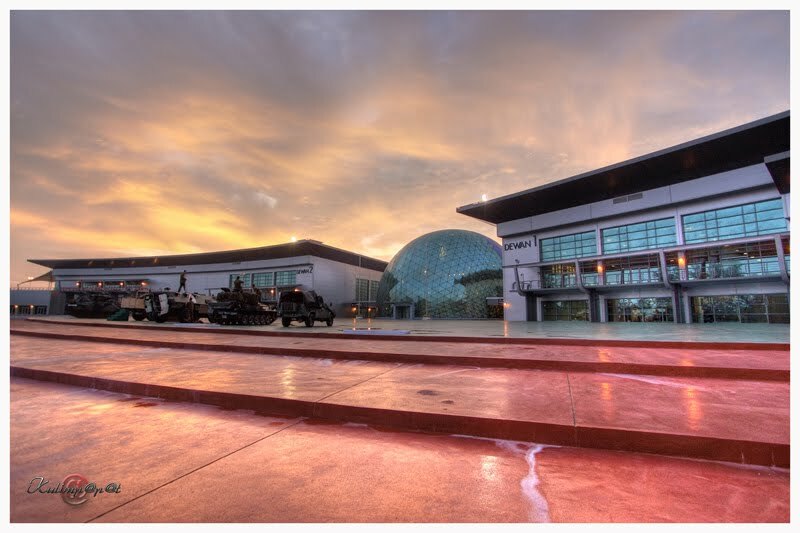 -Open daily from 10.00 a.m. to 10.30 p.m.daily. 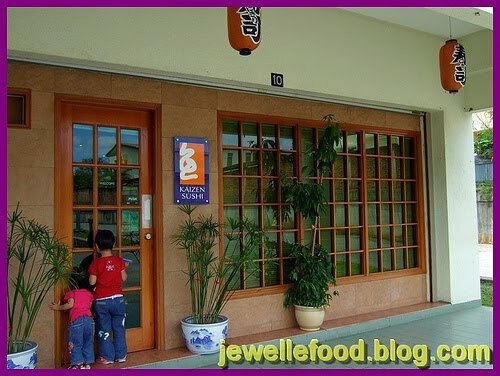 - For those who loves to eat Japanese food, then you should try the Japanese food at Kaizen Sushi at Unit 10, Block C, Kiarong Complex. 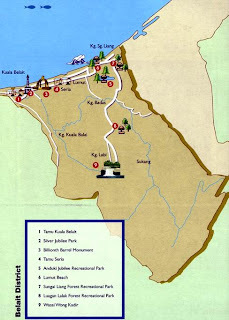 Located at Kampong Jerudong which lies along Muara- Tutong Highway just 20 minute drive from the town centre, the Jerudong Park Playground was the only theme park in Brunei and it was launched to coincide with His Majesty 's 48th birthday celebration. 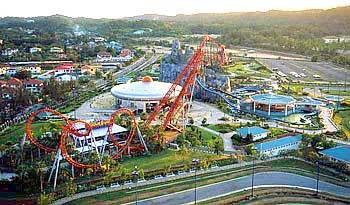 It is an amusement park with exciting rides to play such as the old0time carousel, Pirate Ship, roller coaster and many more!!! 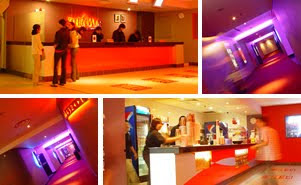 - Located at the Empire Hotel and Country Club, Jerudong which offers wide selection of movies with exclusive seats!! 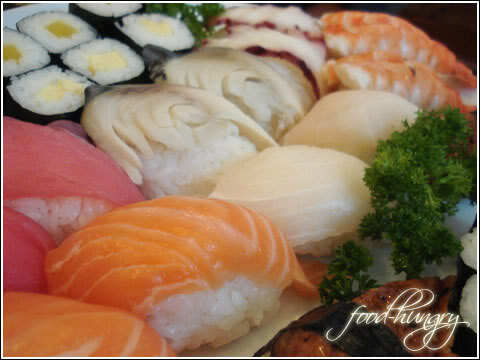 - Located at the most commercial areas that is Gadong on Level 2 at the Mall.